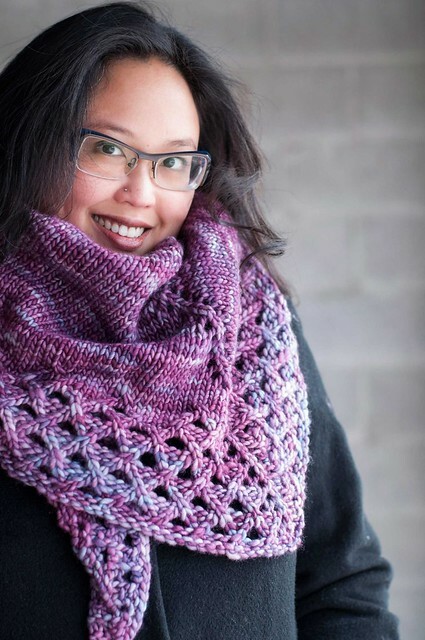 Looking for a quick project to keep you warm this winter? 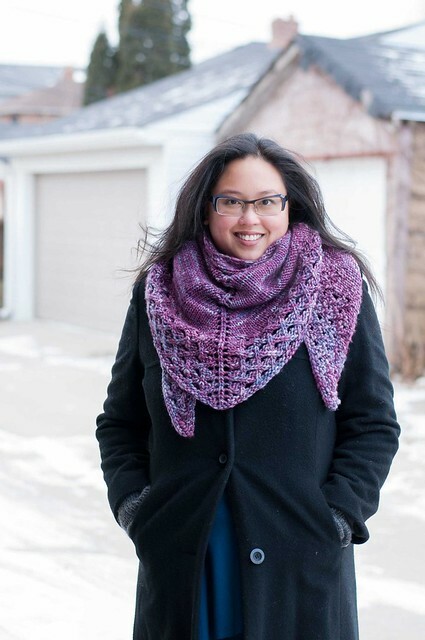 This super cozy shawl works up so quickly in bulky yarn, you’ll hardly believe it! Winter Brunch is a simple top- down elongated triangle with increases worked at the edges every row for a nice shape that’ll sit around your shoulders over or under your coat. 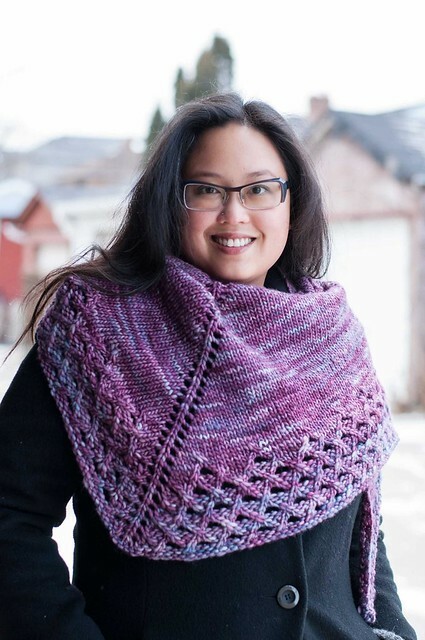 The lattice edging is easy to knit with fun large lace holes. 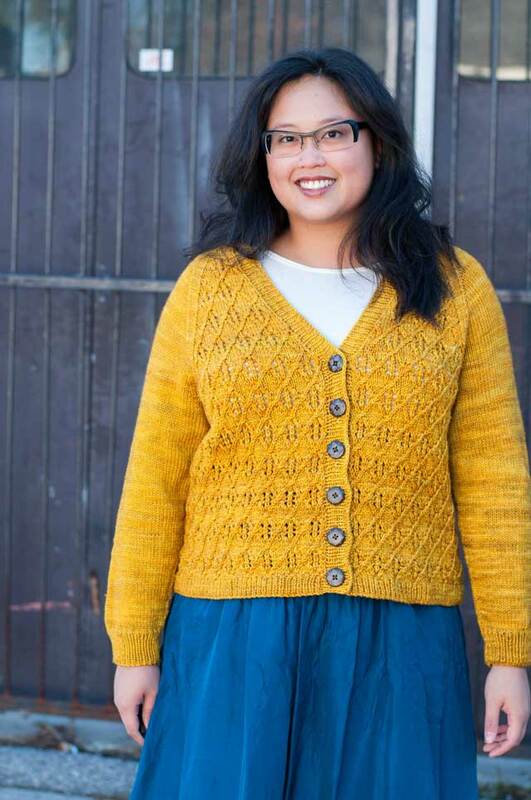 I recommend working the simple two stitch cable crosses without a cable needle – it’s a great way to learn. 3 page PDF pattern with charted and row-by-row directions for lattice edging. Measurements in metric and imperial.